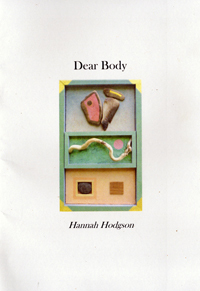 Hannah Hodgson, who suffers from an array of conditions that dramatically affect her life, draws on her own illness and disability in an explicit and courageous way, with direct and artful poems that raise questions about the relationship between personal identity, the physical body and our place in the world. “a short but genuinely powerful and carefully made work of literature. It shifted my understanding of disability and chronic illness.” Jonathan Davidson, Under the Radar. When you have everything you want in your shopping cart, please visit the Overseas Shipping page to add shipping.